My pal Gary Reilly wrote that observation years ago. Writing is hard work and dedication, unless you are special or lucky. Gary had few competitors when it came to dedication. When he passed away nearly two years ago, he left behind a stash of 20 unpublished novels. Gary was my mentor, my one-man critique group. Occasionally he’d show up for our coffee sessions with a new book he had written—or re-written or re-re-written. Or he’d show up with new ideas and insights or suggestions for one of my novels. His work on my prose was key to my finally getting a book in print. Of the 20 novels he left behind, 11 were the comic adventures of Denver cab driver and would-be novelist Brendan Murphy, a.k.a. Murph. Gary had the touch. The character he created and the situations he conjured were brilliant bits that guaranteed a laugh. Gary’s rhythm and timing delivers laugh after laugh—you really don’t see the jokes coming. The prose doesn’t try too hard. Murph is a recluse who works hard to underachieve. He makes a pointed effort to never get involved in the lives of his passengers but something happens that challenges his very being. A mysterious nihilist, a barber with marital woes, a young and missing would-be starlet, devil worshippers, a gambler, a poor student in a tailspin. Murph tries to maintain his precarious balance on the edge of society but is constantly being tugged down into the vortex of civilization. Embedded within Murph’s adventures as a taxi driver are his thoughts about the writing business—Murph, too, is a frustrated novelist with a steamer trunk full of his scripts. When he’s not being distracted by an episode of “Gilligan’s Island,” Murph occasionally works on a new novel (Gary worked much harder than Murph could ever imagine). I wasn’t the only one who knew of Gary’s treasures. My pal Mike Keefe (who won the Pulitzer Prize for editorial cartooning near the end of his 37-year career at The Denver Post) also cared. It was Mike who had introduced me to Gary, knowing our mutual love for the power of a good story. 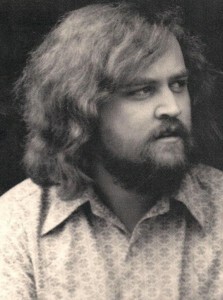 Gary was was never published while he was alive—except for a lone short story in 1979. “The Biography Man” a spot in the 1979 Pushcart Prize Anthology. After that, Gary disappeared from the literary map. When he passed away, this prolific writer left behind a three-sentence will. The final sentence gave me and Mike permission to publish his works, with the proceeds going to Gary’s longtime girlfriend. 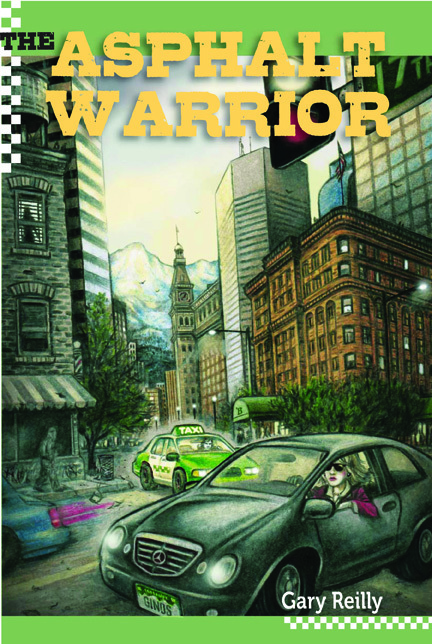 “The Asphalt Warrior” came out in June last year—and reached No. 3 on the Denver Post best-seller list. 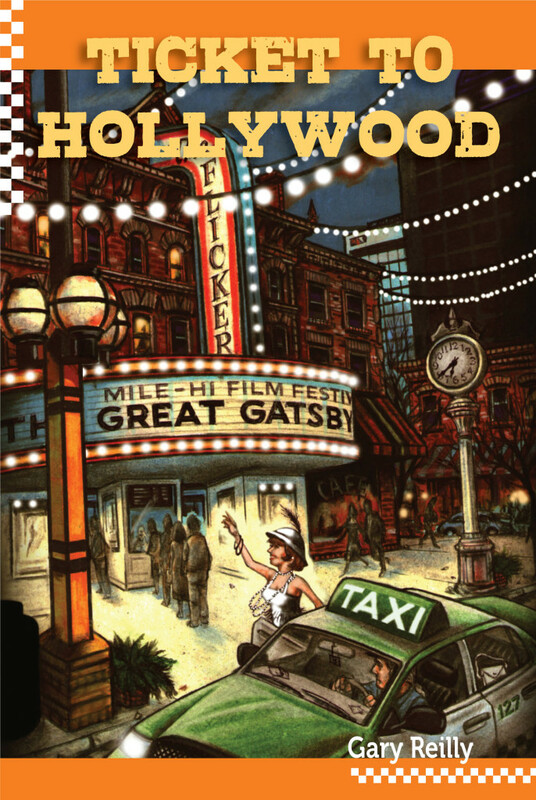 “Ticket to Hollywood” came out in December—and reached No. 2 on the Denver Post best-seller list. Nine more Murph volumes will follow and, later, his Vietnam novels (two of the best I’ve ever read; Gary served as an MP), his thrillers, his science fiction and his straight-up serous “literary” fiction. (They are all “literary,” in my mind.) And maybe his treatise on how to structure a novel. There’s no such thing as literary steroids. Just hard work. Gary worked as hard as anyone I’ve ever known. He worked at writing, that is, but his efforts to contact literary agents or publishers were occasional and somewhat half-hearted. But where he did focus his efforts, the work showed. When I met the vice-president of Big Earth Publishing and told her about the project, she and her editor read the first two “Murph” novels in a few days and instantly offered to include Running Meter Press, the company Mike and I had formed, as an imprint of their publishing house. When I showed the “Murph” project to my friend Julie Schoerke and her literary publicity team in Chicago (JKS Communications), they offered a pro bono national publicity campaign, practically on the spot. Gary’s work showed. His dedication showed. The quality of what he produced was high. Big Earth’s editor said his pages required only minimal clean-up. In my mind, Gary succeeded when he was with us and I’m glad he knew that he had moved a few readers. But he’s succeeding even more now, in the traditional sense of the word. 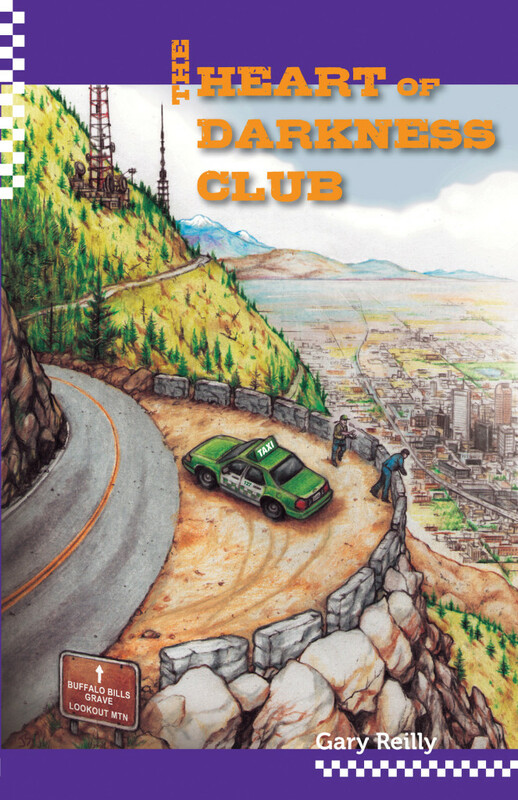 Book three, “The Heart of Darkness Club,” will be out May 28 with another big launch event at The Tattered Cover in Denver. Here’s to Gary. And here’s to hard work.